Walt Disney World has begun enlisting the help of theme park guests to test the new park-wide interactive experience dubbed Sorcerers of the Magic Kingdom. Yesterday was the first day in which play testing began with day guests, allowing average attendees to become sorcerers and help stop evil villains from taking over the Magic Kingdom. 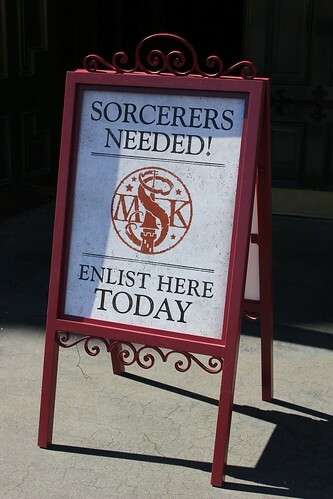 I took part in the test, which ran from early in the day until the “magic portals” closed at 4 p.m. A sign was posted outside the Main Street USA Fire Station inviting guests to take part in the game test. Inside, the Fire Station has been made over from a shop into Sorcerer’s Training, which begins with cast members handing guests a set of 5 randomly selected spell cards (there are 70 different cards total), a special key card, and a Sorcerers of the Magic Kingdom map. Like any attraction, it’s all included with park admission and yes, guests do get to keep the cards. Before I get too far into describing the new game’s details, it’s important to note that while many guests had the opportunity to take part in the Sorcerers of the Magic Kingdom adventure yesterday, it was indeed a test. Not all features of the game were activated yet, so what you see below is merely an introduction to just some of what’s to come. The basics of the game – magic portals, spell cards, key holds, etc. – will remain the same, but I’m told the actual gameplay itself will become far more involved, likened to a role-playing video game. Yesterday’s test was set to “easy” mode throughout the day, but “medium” and “hard” modes will be available in the future, for players who want more out of it. 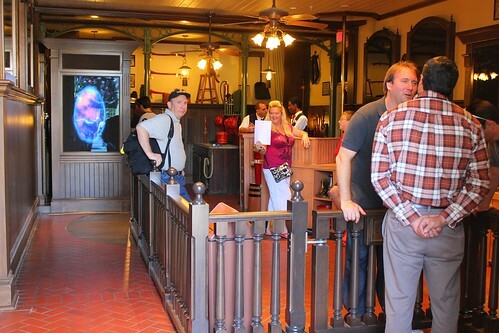 Disney was asking guests to return to the fire house after playing the game and offer their opinions, both to the game’s designers in person as well as by filling out a short questionnaire about the game’s features and playability. Testing will continue on and off in the coming days and weeks until Disney feels the experience is ready for its official debut. So how does it play? 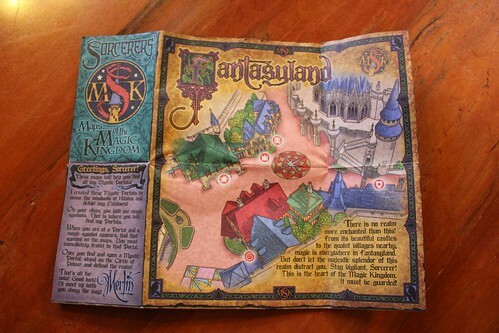 Before describing it, it’s best to head to Fantasyland for a full quest from beginning to end, in the video below. It’s worth noting that one of the portals is rather difficult to see (both in the video and in person) due to the sun’s glare, an issue that I imagine will be corrected by the time the game fully debuts. Those who are familiar with the Kim Possible World Showcase Adventure at Epcot may be quick to draw comparisons between this game and that experience, but the two are quite different by design. Sorcerers of the Magic Kingdom was created by some of the same Disney designers as the Midship Detective Agency aboard the Disney Dream cruise ship and is played in a similar fashion, though with even more structure. 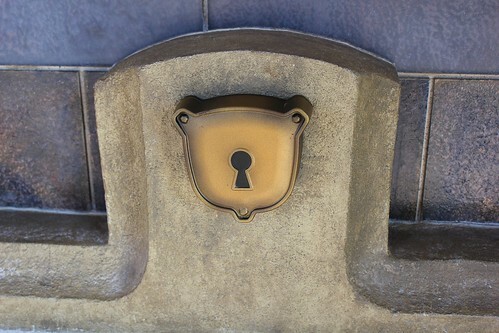 Sorcerers does not feature large moving props or projections as the Kim Possible experience does, but instead focuses all players’ attention toward hidden screens at each Magic Portal that appear when players place the key card onto one of many key holes newly added to the park. During Sorcerer Training, Merlin shows players which portal to begin at and each portal subsequently instructs players where to head to next. It’s a completely linear game. 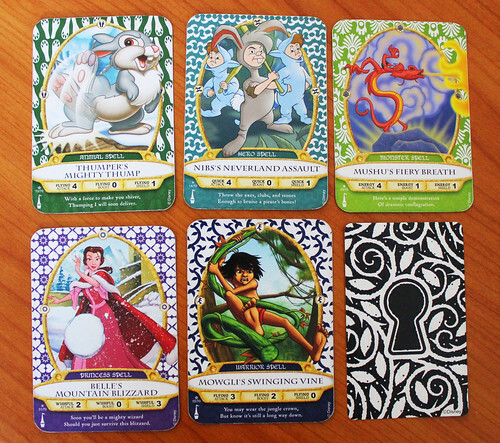 Each Sorcerers of the Magic Kingdom quest involves characters from a different Disney film, with multiple quests available in each land, creating high re-playability. Not every player or group playing at each portal will see the same scene unfold. For example, in Fantasyland, in addition to this Sleeping Beauty quest, there is also a quest focused on The Little Mermaid, battling Ursula and her minions. 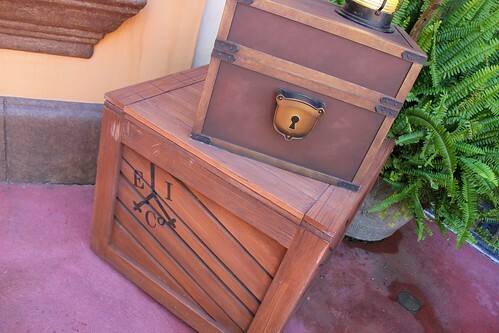 In Adventureland, quests include characters from The Emperor’s New Groove, Aladdin, and The Lion King. 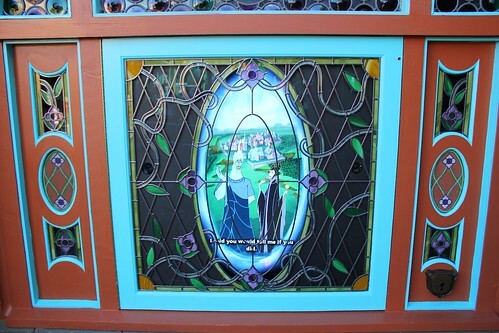 Liberty Square / Frontierland quests feature The Princess and the Frog and Pocahontas, among others. Guests playing for the first time will wind up with whatever quest and characters they’re given. My first quest featured The Emperor’s New Groove, a movie I’m not terribly fond of, making the experience less enjoyable than had I received Aladdin. Likewise, as I helped Pocahontas in her battle in Liberty Square, I couldn’t help but be jealous of seeing others taking on Dr. Facilier with the help of Mama Odie from The Princess and the Frog. Fortunately, like with the Kim Possible adventure at Epcot, savvy players can request certain quests or characters when beginning at Sorcerer Training. But what of the actual gameplay? Is it fun? Well, in this test, I wasn’t able to get a good sense of what Sorcerers of the Magic Kingdom is truly all about. Upon returning to the Fire Station to offer my thoughts, I was asked if I noticed that my spells became more powerful as I played longer. I didn’t. Apparently this is one of the many features that will be tweaked, allowing repeat players to deal more damage to their foes. Spells are rather amusing, each unique to the character on the card. In my deck, Thumper pounds villains with a Mighty Thump, with a flurry of footprints appearing on the screen. Belle dumps a Mountain Blizzard onto enemies. Mowgli thwaps evildoers with a vine. And Mushu spits a rather wimpy, but effective ball of fire. But it seems that Thumper’s thumps and Mushu’s flames will grow stronger the longer I play – a reason to keep coming back. When held up to the light, faint horizontal and vertical lines running parallel to the borders of the card are revealed, showing the embedded chip inside, capable of storing enough information to continue the gameplay between Magic Portals. Apparently these cards will even keep a game active for a week, allowing visitors who want to ride rides, park hop, or come back another day to continue where they left off at their convenience – a big plus over the confinements of carrying around the Kim Possible “Kimmunicator,” which requires battery power and turns off after a period of not being used. Moreover, players who veer off course during an adventure, either on purpose or by accident, winding up at the wrong portal, will be assisted to the correct location, as seen in the video below. Despite the game being open to testing with guests, Disney wasn’t ready to reveal all details surrounding the Sorcerers of the Magic Kingdom experience. Just how players will move from easy to medium and hard difficulty levels remains to be seen, as does how the different values on the spell cards (attack, boost, and shield) work in the actual gameplay. It was also noticed by some players that two cards could be wielded at once, a technique that only sometimes seemed to work in battle. I also heard that it’s possible for players to lose the game, if spells aren’t cast in a timely manner. Villains can actually win, defeating players, like in any actual video game. It will be a nice touch giving some actual meaning to casting spells, instead of offering the usual “everyone’s a winner” take that Disney often does. 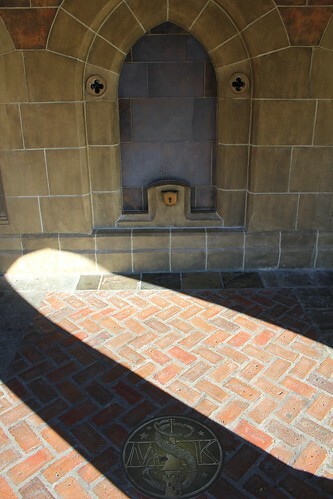 It is indeed fun to hunt around the Magic Kingdom, discovering new corners of the park that are now equipped with Magic Portals, waiting to be opened by the touch of a card. It empowers guests, moving them from a passive theme park experience into an active role, allowing them to participate in the magic, rather than just observing. While most people enjoy a good roller coaster, Sorcerers of the Magic Kingdom allows those wanting to actually “do” something in the park to engage in an activity that offers a sense of accomplishment in the end. And in true Disney fashion, all of the scenes that unfold within each portal have been created with the utmost care, featuring high-quality animation and voice acting that looks and feels straight out of an animated feature film. But amidst the good there are still certainly a few technical issues yet to work out. Beyond the obvious sun glare issue mentioned above, it wasn’t always easy or quick to get the game to recognize that I was holding up a spell card. Sometimes I had to show the card multiple times before it realized I was attacking. Other times I had to move it around, up and down, left and right, for it to finally catch on. Guests are supposed to stand on the “Circle of Power” while presenting the spell cards, but I often found getting a bit closer and holding the card at kid-height helped. During this test, the biggest concern I had was wondering exactly what the point of the game was. Sure, I was wandering back and forth through the themed lands of the Magic Kingdom triggering “portals” to open up and watching fun character-filled scenes unfold in front of me, but I never felt any true sense of achievement. There was no point total and no skill involved. But that goes back to not all game features being enabled and that all games yesterday were set to “easy” mode. I imagine for children, simply opening up portals and watching characters do funny things on a screen is enough for a magical experience. But for older Disney fans like myself, the hard level may be prove to be far more enjoyable in the future, depending on what additional features are added. That much has yet to be revealed. 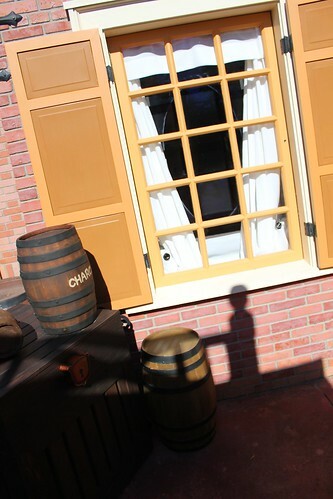 The most disappointing aspect of Sorcerers of the Magic Kingdom to me was the lack of real props. 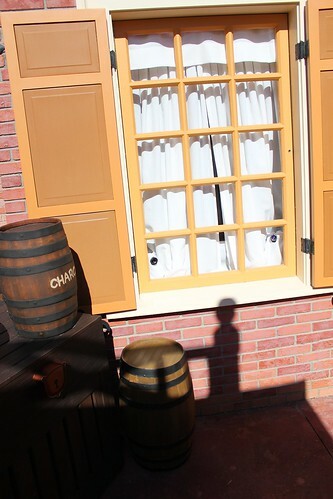 In Liberty Square, a couple of curtains parted to reveal the Magic Portal behind it. 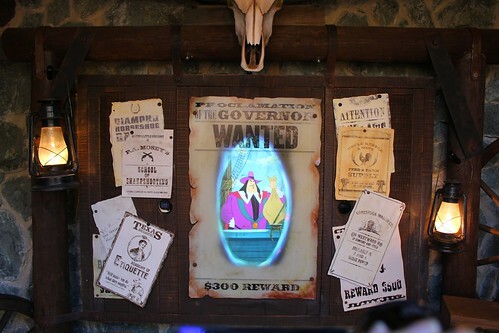 In Frontierland, a Wanted poster turned into the Magic Portal and a skull’s eyes lit up green above it. But these rather mundane actions pale in comparison to the talking parrot, exploding rocket, and water-squirting statue triggered in the Kim Possible World Showcase Adventure at Epcot. I’ve heard the reason for basing the game on screens is so it can be updated regularly, keeping the content fresh and allowing frequent players to experience new quests more often, something nearly impossible with the Kim Possible adventure. In practice, however, that’s not likely to happen. When Toy Story Midway Mania opened at Disney’s Hollywood Studios – a ride where most of the time is spent looking at screens – Imagineers said the game would be updated often to keep it fresh. That has only happened once since it debuted in 2008. I fear Sorcerers would follow the same slow timeline. 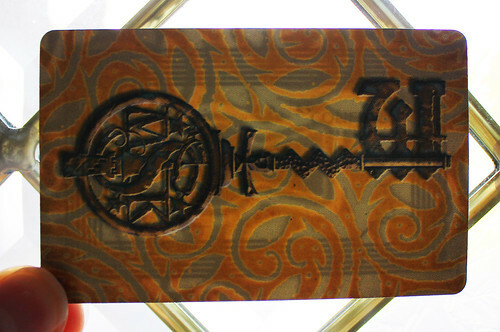 Two more practical problems exist with Sorcerers of the Magic Kingdom. The lands of the Magic Kingdom each feature themed background music and sound effects, enhancing the ambiance of the fantasy environments. Sorcerers of the Magic Kingdom encroaches on this carefully crafted environment, emitting its own loud sound effects, music, and character voices from each Magic Portal. In the area just behind Cinderella Castle, three Magic Portals now exist within a few feet of each other, each seemingly louder than the next. Standing in the once relatively peaceful castle courtyard now results in overhearing a cacophony of crashes, bangs, and evil laughter of Maleficent and Ursula. Likewise, crowd flow is an issue with the game, not only because each portal inevitably will form an impromptu queue of players waiting to continue their adventures but also because some Portals are placed directly in walkways. 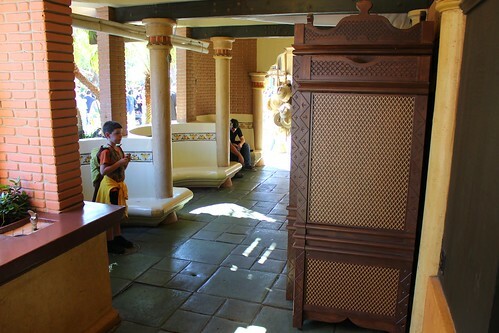 While waiting for one portal in Adventureland (pictured below), I watched as several guests and cast members debated whether to pass between a young player and the Portal he was intensely watching or wait until the action had finished, causing a bottleneck. Curious crowds gathered around each of the Portals, forming excessively busy areas, even blocking some doorways. The volume issue can, and surely will, be corrected to some extent. But the crowding will surely only get worse as more players try to access a limited number of Portals. Interactivity appears to be the future of Disney’s theme parks and each introduction of an interactive element is becoming more involved and intricate than its predecessor. While it’s impossible to form a full opinion of Sorcerers of the Magic Kingdom based solely on this first day of guest testing, it is clear to see the direction in which Disney is headed with the game. It is indeed a game, not just an interactive experience. Much like racking up points by shooting targets on Toy Story Midway Mania, Sorcerers of the Magic Kingdom is inviting theme park guests to engage in a virtual battle against Villains, planning character-assisted attacks and building up a fuller deck of spell cards to help defeat the evildoers. Presumably, when all the gameplay elements are activated, including featuring harder difficulty settings and utilizing the spell card points, players will find an in-depth role-playing game hidden within the park that trumps any RPG played on a home console. No Xbox or Nintendo game can rival the thrill of actually walking through a fantasy world and assisting familiar characters in a battle. But does such an active and involved game truly enhance the experience of being at a theme park? Or does the average tourist simply want to be playfully spooked by The Haunted Mansion and thrilled by Splash Mountain while on vacation? Only time and a few trips through Magic Portals will tell. Unannounced testing will continue on Sorcerers of the Magic Kingdom until Disney is ready to officially debut the game. I heard that tests will resume on Thursday of this week, though earlier or later is possible. The game’s designers are likely currently sifting through all the guest comments they received as well as the data they obtained from observing guests play in order to improve the experience before the next round of tests begins. Downfalls aside, I am eager to play Sorcerers of the Magic Kingdom again, if only to enjoy scenes from characters and films I like much more. Next time, I’ll definitely request The Princess and the Frog as my starting point. Watch out, Dr. Facilier. This sorcerer-in-training is coming for you! not a fan of this. its just plain trashy, cheesy and cheep. I feel like if they put just a little more thought and care into it they could come up with something truly fantastic. this is underwhelming. maybe it looks better in person ? You, sir, are completely wrong and need to drop the over-the-top negative attitude this instant! This is innappropirate to Disneyland. California Adventure could benefit from this. They put it in the wrong part and are trashing up the experience of Disneyland. It will be moved. Mark my work. Noisy Videogames (and that is all it is) do not belong strewn around the Magic Kingdom destroying the ambiance for many for the enjoyment of a few who are to foolish to just enjoy being in the park. This isn’t in Disneyland, it’s in Florida’s Magic Kingdom. Plus, if you think it’s so bad, just don’t play it. Disneyland is next to a Golden corral I don’t think it gets any trashier. Think before you type. It’s actually a fun game, and my kids enjoyed it a lot. While the other rides has a long line my kids would rather love to play the sorcerer game than waiting for a long line to be on the ride. This new sorcerer game rocks,and hopefully they will add more cards and more challenging game to have more excitement. My son actually wanted to finish the game and on the medium level that’s why we extended two more days to stay in Bay Lake resort just to play the sorcerer game :)It is true the more you play the more your cards become powerful, and my kids can’t wait to go back this July and finish the game lol. The only problem most days we keep getting doulble cards and ended up asking somebody if they wanted to trade. It is indeed a fun game for kids to do. I even noticed that mostly adults are playing the game rather kids, and I thought that was funny. I really like the concept of this game, but I just can’t help but see quite a bit of issues arise with this. The biggest one being crowd control: With the Kim Possible game at Epcot, that’s fine because 1) Not much people know about it 2) Most may not be able to find it and 3) You’re required to give information, like your credit card, in order to play. Because of all that, you’ll probably have to wait a group that’s ahead of you trying to complete something. For Sorcerers, you have the game’s HQ right at the entrance of the park, sounds like you don’t really have to give in anything since you’re just having cards and not a phone, and you can continue playing for about a week with multiple quests. A lot more people will have to be sharing those handful of portals, and other park guests overlooking whats going on will only make them want to try it out as well. But then, there isn’t anything particularly special with the game thus far: As it stands, you’re basically just playing an RPG card game in front of screens. As you mentioned, there’s nothing really cool that happens during the quests similar to how the Kim Possible quests pack quite a bit of special effects and not just hidden screens. I can go on and on, but I just really hope that Disney takes all the feedback and really improves the game, even if it does have to take another year or so to do so. .ok before I read this article I must point this out… first picture shown reminds me of portal. you know the game..
That’s good to hear. The game definitely seems targeted toward kids, at least on the easy level it was presented at yesterday. What did they like most about it? Was it easy for them to understand and play? I think that I would play this once, but after that I don’t think I would have any desire to go back and see all the quests (unlike kim possible where I actually plan on playing each trip I go, sometimes multiple times, in an effort to see all of the quests) The reward for your actions (canned animation) just doesn’t seem enough. I want real world effects like kim possible that give you a sense of wonder and whimsy. I was quite excited to hear about SoMK but after seeing today’s footage of your test I am not so much. Keep in mind everything that you saw in the video is still in the test phase. The true ‘opening’ of this is not until Feb. 22 where then there will be more difficulty to the game than what is out there now. Go in with an open mind and see how it is for you personally. You may enjoy it as much as you do with KimPossible. 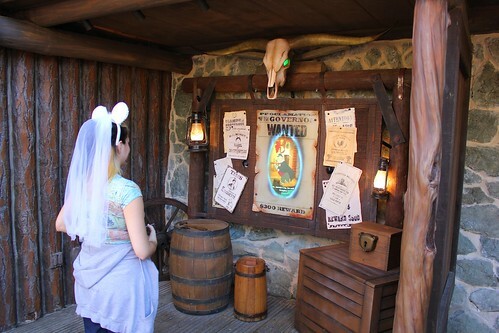 The cards are collector’s items as well and can be traded with others throughout the park during the day. Of course you may only want to trade out what you have multiples of. At this point, there is no charge to play the game but from the rumors that I’ve heard that there is the possiblity to ‘buy’ (unknown how much) some of the more ‘rare’ cards from the pack. As for now they will still be giving away 5 free cards to every ticket holder per day for those that WANT to do this. There is a lot of back and forth in each land so some people may not want to do it. I agree with you on the issues. I do think there needs to be more of a point to the game to make it fun for everyone. But I really do like that they made a game around The Emperor’s new Groove characters. Its one of my favorites and I never see them around Disneyworld at all. I think is it a very underrated disney films and I have always my picture with Kronk. I’m looking forward to seeing the different levels and what else they are doing with it. I really like the concept but it has so many problems that are very evident. Would it cost anything to play it? Or I wonder if it will be advertised a lot because of the “coolness” of it, everyone would want to do it. So I maybe see a “club” that might start up to participate in the game. Maybe that would narrow down the people. It could start out within the “disney fan circle”, then maybe lead into something else. I don’t know. I love the concept but there are too many errors. This seems really sinmilar to the interactive experience MagiQuest. Something that I often dealt with while playing MagiQuest was waiting in a line that had formed around certain objects (the portals in this instance). Then again, MagiQuest lets you choose which adventure you are going on, so some may be chosen more often than others. either way, did this sort of waiting to move foward in your task, or did it simply work out? also, there is a similar type of portal used at MagiQuest (the Stone Circle) that gives players instructions and allows them to check progress. they use a sound dome around the overhead speaker to prevent sound from travelling, so you can only hear it while standing underneath. Couldn’t the issue be resolved this way? Yes, the similarities are there. Unfortunately, the lines at each portal will only get longer as the game rolls out and is more played and popular. Today was the second day of guest testing and some are reporting lines at every portal already. I imagine the experience won’t be terribly fun if you have to wait for each one, particularly given that some of the portal scenes are several minutes long. You could end up waiting 10+ minutes at each, all the while watching/overhearing the scenes from players in front of you, ruining the surprise. I thought the same thing about sound cones/domes, but they would intrude on the aesthetics of the park. I would think Disney could use some kind of directional speakers though, that target the circle players are supposed to stand on. I’m sure the volume issue will be finely tweaked over time. Hopefully, we won’t have to worry too much. 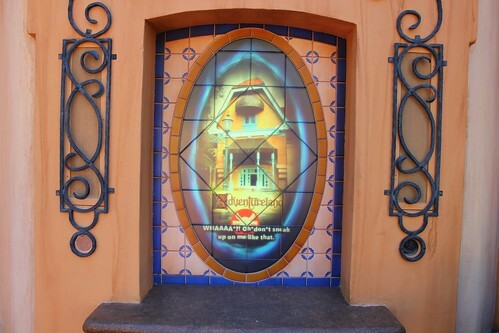 Even as we speak, there’s a chance that some more new Portals could be getting installed in the new Fantasyland (such as in the Forest, Storybook Circus, etc.). I’d love to see missions for those areas as well anyway. On the same token, I think that Tomorrowland should have a quest as well. Maybe it could have Jim Hawkins battling Scroop and/or the Grand Councilwoman, Stitch and Lilo battling Dr. Hamsterviel. Don’t know where you heard that you need to give personal information for the game, that’s 100% untrue. We had a blast doing it. The kiosks are all in very out of the way areas of the park, so there will be very little disruption of other guests. Yes, there will be lines. Is that new to Magic Kingdom? Each guest’s experience will be different, based on what cards they have. Guest’s will return to the game just to get new cards and see how they react in the game. It’s a great add-on to Magic Kingdom with little or no down side. This looks like it has the potential to be truly amazing, especially if they keep updating it. It would be really good if they could somehow make it interactive as I noticed around some of the portals they had cameras, would be interesting if they could incorporate something similar to the xbox kinect technology. Can’t wait to try this out for myself! I dunno. It feels like they put more effort and creativity in the Kim Possible games. You got a cell phone you could interact with, get your picture taken from the eiffel tower, have killer baby robots jump at you, and etc. This one you just wave some cards and watch a story. I like the interactive games, but Kim Possible was just better. Interesting stuff! Thanks for the review, info, and rundown. I’m kind of torn on the whole thing myself. It looks unique and kind of fun. It’s definitely something new and I like that it includes so much original animation and so many different Disney characters (I LOVE that Hades is such a big part of it). But here’s my big question: is this why guests come to a theme park? On a cruise ship, it makes sense. There’s a lot of downtime at sea and it’s another activity. But in a theme park full of attractions, shows, and parades, is this how anyone wants to spend their vacation? Kim Possible made more sense at Epcot because it gives kids something to do, which there was a lack of in that park. But that’s not an issue at the MK. I’m sure Cast Members and AP Holders will do it since they’re there all the time. I’m just not sure if that will be enough. I don’t know. Time will tell but I have a sad feeling that this might go the way of Pal Mickey. my idea for the game is use tommorowland with darth vader or emperor zurg or someother disney villain from the future or from space to be hired by hades. I like the idea of somehow suiting or matching the scene to the area, like the suggestion of a futuristing villian in future world, etc. I for one think this could be a great thing. 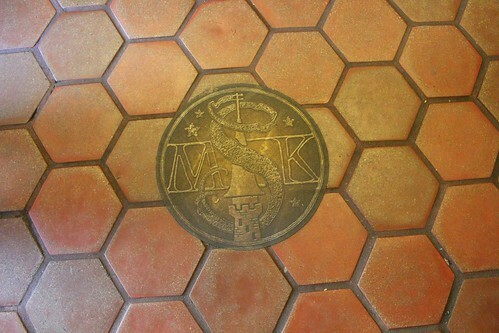 We return to Disney every year and for repeat guests who have enjoyed many of the major attractions several times, AND with children who enjoyed the Kim Possible thing at Epcot but have now done that a few times, I am very glad to hear there’s something like this at MK…and that there will be new, fresh adventures each time. Disney, take care of the crowd control and noise/sound effects issues, and this will make a great addition my family will probably love! My first thought upon seeing this new interactive game was excitement for my 9 and 5 year old boys. But I’m a little more concerned that it is barely more than just videos they watch, and the likelyhood of a crowd build up waiting turns as this becomes more popular if you have to go in order. Being that it’s a “Sorcerer’s” game, using a wand would seem more interesting than cards. Something like I have seen used at Great Wolf Lodge in Williamsburg, VA, where you can purchase a wand to keep. 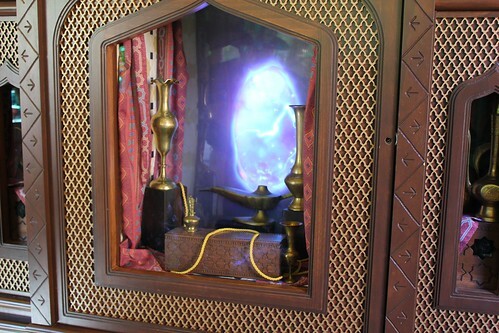 I would love to see this become more animated and things happen at each portal, a keepsake wand to purchase to use, and to not have to go in order exactly to fully enjoy the experience. I got a chance to play this today. I did in fact notice my cards increasing in power, especially my bolts bark instead of the sonic bark, it started to include his ray vision as well. the higher skill levels allow you to combine spell cards to make new more powerful spells. I played this game while staying at the resort last week. I really enjoyed it, but I agree, unless it’s updated, I can see it becoming a bit repetitive. I think most people are enjoying collecting the cards, more than anything else. I think the animation is awesome and the interactive cards are fun. The computer system went down one day and lost everyone’s games so they had to start again. Plus, if you and your group get your cards at the same time, you’re likely to get the same game and after seeing the same scenes over and over, it can get a bit boring. I think they have a great idea here that just needs some tweaking. I understand this is a test, so we’ll see what happens. I also noticed that your game is confined to one world. If your cards lead you to Main Street, all your portals are on Main Street. I think they need to be spread out more. Plus, many people are playing this game to “win”, where as I’d rather use it to play as your traveling the park. Play a portal, ride an attraction. Some people were running from portal to portal. Not my idea of a good time. But it does look great and it is fun. I think they’ll work this a bit and get it right. I agree, this game does seem to work better on cruise ships, and here in orlando would be better enjoyed in a monorail loop/DVC villa resort. In a park, you expect more than hidden screens and somewhat cheesy animations. The concept is great, the choie of locaion isn’t great. Even though I am in no way affiliated or represent this technology, I think it would be a perfect fix to the sound pollution problem. Since guests are more or less stationary when they are at a magic portal, ultrasonic speakers could be focused on the guest, letting only the player hear the game and no one else! I think the haters haven’t tried it yet. I’m 14. I spent the whole day on this. It was fun, and my sister played with me. I eat the entire easy level today. I quite enjoy the fact that most of the game’s secrets are hidden, allowing for discovery of certain gameplay mechanics as you meet and socialize with other players. Hike I do admit that crowds can congregate around the portals, I have to say, for the sake of the more educated comment readers, don’t knock it until you’ve tried it. Hey guys for those of you who love the game me and my friend had an idea of marking trading post around the park to help you guys get those extra cards you need as of right now the most popular one is at Adventureland at the star crest portal at around 6:00pm many people gather there and wait for on coming sorcerers around the tables since its convenient that all the tables are around so you can lay out your cards and start trading and swap information and what not. The following few that im going to mention I have not personally seen many people in theses areas but lets try to change that so we can show Disney how much we are enjoying the game and how we want to expand it throughout the all of magic kingdom. The next one I have seen really working out is at the Liberty square sorcerers training spot allot of activity there since people are getting there packs for the day and are ready to trade their doubles. As for main street U.S.A area most of the trading goes down around the Wave and raindrops portals since its away from oncoming traffic from all the people in the park its an easy place to hang out with other sorcerers and talk about the game trade and stuff. And last but not least Fantasy land there is a water fountain right next to the shield portal that’s another place that’s there is allot less people and you can have time to stop without people getting in the way of others. That’s all for now I will keep posting about the better area to trade around the park that most of us sorcerers meet up bye bye for now ^_^ oh yeah and remember to mark these places on your map hope to see you guys soon. Hey man thanks for the info I have seen allot of people at the star portal around that time good tips! I will also try around the other spots you mentioned. t even imagine, especially on those days, when you are suddenly planning parties. of kitchen appliance which is of great help to any household. Dishwashers with wash cycle of lower temperature are the best option. Question. Does something like this exist at disneyland? A interactive card game? Or are there any plans to bring it there? about shopping on the web. So, purchase a new vehicle just before or after the new model makes its appearance. I’m moderately certain I will be told many new stuff right right here! site. He was once totally right. This publish truly made my day. hello!,I love your writing very so much! proportion we communicate more about your article on AOL? Anyway I will be subscribing to your feeds or even I achievement you get admission to persistently quickly.